To evaluate T2w and DWI image quality using a wearable pelvic coil (WPC) compared with an endorectal coil (ERC). 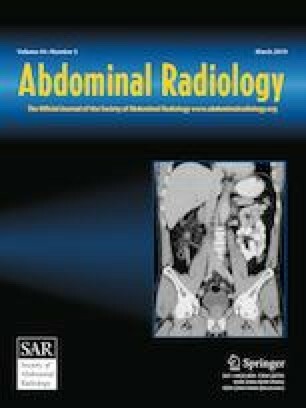 Twenty men consecutively presenting to our prostate cancer MRI clinic were prospectively consented to be scanned using a wearable pelvic coil then an endorectal coil and pelvic phased array coil at 3T. Eighteen patients were suitable for inclusion. Axial T2w images were obtained using the WPC and ERC, and DWI images were obtained using the WPC, ERC, and PPA. Analysis was performed in consensus by two readers with experience in prostate MRI. The readers scored the T2w images using six qualitative criteria and the DWI images using five criteria. Signal-to-noise ratio (SNR) was also measured. T2w artifact severity was greater for an ERC than a WPC (p = 0.003). There was no significant difference in T2w qualititatve image quality by other measures. The distinction of zonal anatomy on DWI was superior for an ERC compared with both a WPC and a PPA (p = 0.018 and p < 0.001 respectively), and there was no significant difference in DWI image quality by other measures. SNR was significantly higher for ERC imaging for both T2w and DWI. WPC imaging provides comparable image quality to that of an ERC, potentially reducing the need for an ERC. WPC imaging shows reduced T2w artifact severity and inferior DWI zonal anatomy distinction compared with an ERC. Imaging with a WPC produces a lower SNR than an ERC. ScanMed, the manufacturer of the PROCURE imaging coil system, provided one wearable pelvic coil to the Department of Radiology at the Brigham and Women’s Hospital, and this was returned to ScanMed at the end of the study enrollment period. No further grant support was received. This study has been presented as an electronic poster at the European Congress of Radiology 2018 which has been published online on the ECR’s EPOS system (https://dx.doi.org/10.1594/ecr2018/C-1171). Dr. Tempany declares no conflicts of interest relevant to the submitted work, and outside the submitted work reports grants from NIH, personal fees from Profound Medical and personal fees from Gilead Sciences. The other authors declare that they have no conflicts of interest. All procedures performed involving human participants were in accordance with the ethical standards of the institutional research committee, with the 1964 Helsinki declaration and with the Health Insurance Portability and Accountability Act.